For many years the fast food industry, large food companies and even dieticians have been touting the value of a hearty breakfast to “break the fast” of the night and provide the body a sustainable source of energy. Study after study appears to demonstrate the value of breakfast. But, as with many other nutritional pieces of advice, the belief in the power of breakfast is based on misinterpreted research and biased studies. Many of the studies are funded by the food industry, which has a clear bias. Kellogg funded a highly-cited article that found that cereal for breakfast is associated with being thinner. The Quaker Oats Center of Excellence (part of PepsiCo) financed a trial regarding consumption of oatmeal or frosted cornflakes (if you eat it in a highly-controlled setting each weekday for four weeks), and found that only the no-breakfast group, which lost weight, experienced an increase in cholesterol. The common belief is if you skip breakfast in the morning, it’s going to make you eat more later in the day. People think if you go into lunch and dinner hungry, you’ll end up eating more. And the fear is this will make you gain weight and develop unhealthy eating patterns. But that’s not what the research shows, the most recent of which was published in the British Journal of Nutrition. In a study of 40 teenage girls (whose appetite is known to be strong, thanks to the caloric requirements associated with growing) it was discovered those who ended up skipping breakfast consumed 350 calories less through the day than the subjects who ate a full breakfast. The subjects in the study were ages 11-15. Each of the subjects ate in two distinctly different ways to isolate how breakfast affects later caloric consumption. To start with, the girls ate a breakfast made specifically to have a low impact on their glycemic index. The breakfast was 468 calories in total. They ate this breakfast for several days before switching over to an eating protocol where they simply did not eat breakfast. After they ate breakfast, the participants were then asked to keep a journal that kept track of their eating habits throughout the day. Their physical activity levels were monitored with an accelerometer. At the conclusion of the study, the researchers noted on days when the subjects skipped breakfast altogether, their ending caloric totals were 353 calories fewer than when they had breakfast. What’s more interesting is even though they skipped breakfast, and missed out on those 458 calories in the morning, their physical activity levels weren’t affected in the slightest. This bodes well for people who want to lose weight and still maintain a healthy lifestyle in the process. What the researchers don’t know is why exactly this happens. They’re not quite sure what the correlation is between skipping breakfast and not eating more later during the day. As study co-author Dr. Keith Tolfrey said, “There are many reports that show missing breakfast is associated with obesity, which may have led to premature assumptions that breakfast can be used as an intervention for weight control… But we do not know why eating breakfast is associated with a lower likelihood of being overweight or obese, or whether eating breakfast can be used effectively as a weight control strategy…Further research will help to determine whether daily breakfast consumption can be used as an intervention to reduce future disease risk in young people,” concludes Dr. Tolfrey. Paul and I have attempted to explore our personal results of what happens to us when we eat an early “breakfast.” Our breakfast is rather light in that we mash a ripe avocado on a piece of gluten free bread. While it is a light breakfast as compared to the Standard American fare, the results were quite notable. If we consume that light breakfast before 9:00 AM, we find that we are ravenous just two hours later and we find that our appetite is stronger all through the day. We recently worked with a woman who said that she needed to eat an early breakfast or her blood pressure would rise and she would feel shaky and weak. 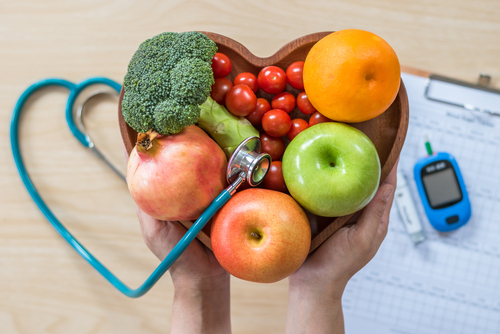 But after starting a juicing regimen and eating closer to the Hallelujah Diet, she soon found that she could delay eating for a few more hours and as she began drinking smoothies later in the morning, she found her blood pressure was easier to manage. It doesn’t take a rocket scientist to see that as adults, we don’t necessarily need the calories from these foods right away in the morning, especially since the result is we feel like grazing throughout the rest of the day, which means even more calories. 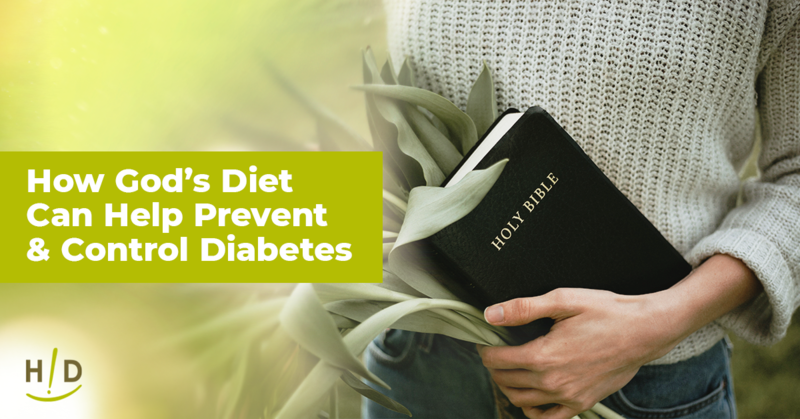 At the Hallelujah Diet, we have said for over 25 years that you should not eat “breakfast.” It is best not to consume food containing fiber first thing in the morning, as fiber hinders the body’s cleansing and eliminating efforts that continue for several hours after rising. Most people eat their breakfast quite early in the morning. 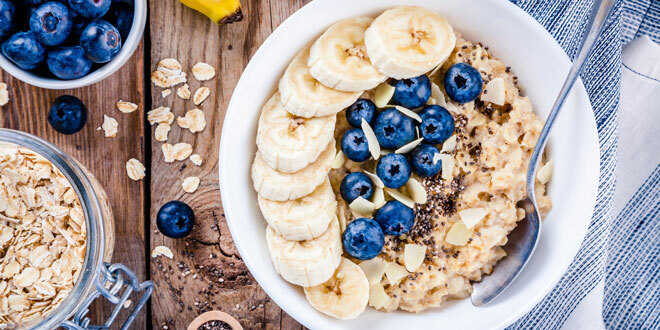 Whether it is 6:00 AM or 8:00 AM, your poor digestion system isn’t even awake yet, much less running on all cylinders, so to eat fiber-rich foods, fatty foods, sugary foods, they will make your poor digestive system clearly wish it had stayed in bed! The rude awakening of that big dump, can create future health problems. 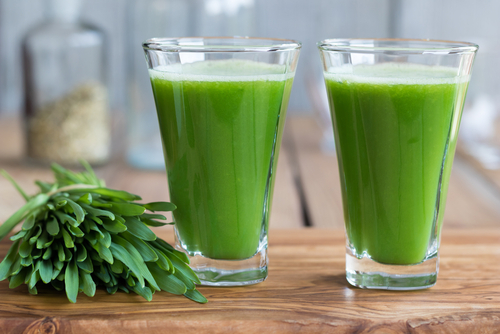 We recommend a small glass of freshly extracted vegetable juice or even a barley green juice powder, like our go-to favorite, BarleyMax soon after you awaken. You will receive large amounts of nutrients while gently awakening your digestive system. Believe me, it will be most grateful for the gentle approach. How many people do you know like to hear loud music or some big problem given to them as soon as they are awake? A couple of hours after your juice, if you are interested in eating something, start with a piece of fruit and if that isn’t enough, make yourself a living green smoothie. The ingredients should be light on the sugar and heavy on the greens. The fact that it is living will help the digestion system in breaking it down. We will have our green smoothies typically after 10:00 AM. These will satisfy us for hours. If you add some powdered protein, and even some more BarlyMax in your smoothie, you will be sure to give your body plenty of nutrition without adding all the calories. If only the breakfast studies could take into consideration not just weight gain or energy, but actual nutritional density that is being distributed into all the cells of the body which not only staves off hunger, but more importantly, affords healing and healthy cell replacement, which of course, prevents disease, then, maybe people will see that it isn’t the amount of food or the exact timing that is important, but the value comes in the nourishing of cells. I have a problem with hypothermia on being upright over 20 minutes, which is worse in cold weather. I had a lot of benefits from green smoothies, but they increased the hypothermia shortly after drinking them. Doctors have not figured out the cause of the hypothermia. Only lying down for 20 minutes helps. I”m guessing that chronic dehydration due to excision of most of my duodenum may be the cause, because I also get leg cramps every night. The green drinks really helped, but my temperature dropped lower with them, for example to 93.3 or as low as 92.8. I hope you may have some ideas. Have you any suggestions? Thank you. I enjoy playing tennis 5 mornings of the week. If I skip breakfast, I feel horrible and weak. I understand the importance of avoiding a heavy or sugary meal early in the morning. I believe in a green drink with some nuts to start the day. I will forever believe in grazing on small amounts of fresh and pure foods throughout the day. Stop food after 6 o’clock, fast for 12 hours and eat breakfast to break the fast. I do appreciate the Hallelujah diet and the results I have witnessed with regard to people healing their illnesses! Thank you for the article Ann. I agree that many studies are biased and scientists are sometimes paid to produce results that will benefit the food company who hired them to do the study. I ate a bowl of organic gluten free oatmeal this morning with cinnamon and stevia. I noticed that I was hungry soon afterwards. I would like to wait to eat later and drink a smoothie at 10:00 am but it might run to close to my lunch time at 1:00. I have been eating a lot more raw and blending my salads at lunch time to make them easier to digest. I might try a raw soup in the morning instead of oatmeal. Interesting. I usually eat a gigantic healthy breakfast (healthy except for coffee) – at 7 a.m. and then nothing until dinner and Im really not hungry until 5 in the evening. But I am overweight and would like to lose 30 lbs. I am going to try your idea — I’ll bring a smoothie to work and see what happens if I just have the smoothie at noon. Giving up morning coffee is the hardest thing for me, and I do believe it increases my need or craving to eat. Has anyone noticed if their appetite lessens if they stop coffee? Hallelujah wRITE ON – FASTING: “THE BREAKFAST OF CHAMPIONS”! When I eat breakfast, I have a delicious berry bowl full of fresh organic strawberries, raspberries, blueberries, black berries, kiwie,and pineapple topped with organic yogurt and then topped with my original recipe of ground flax seeds, walnuts, and coconut. Yummmmmm! I eat around 7:30 am and it lasts me until noon. On days when I skip breakfast, I’m doing a 24 hour fast until noon. As we have been taught, the body goes into detox mode over night when you sleep and is still detoxing in the morning as long as you don’t eat. When I first get up, I have a 6 oz glass of pure water w/1 tablespoon of raw apple cider vinegar followed by 16 oz of water w/1 tablespoon of liquid chlorophyll or barley max and then a 16 oz cup of green tea to flush out even more toxins. Before breafast, I do oil swishing with coconut oil which also helps detox killing bacteria in your mouth as well as making my teeth healthy and white. Skipping breakfast is a good thing! Thank you for this article. It is good to know that there is some evidence behind what my body tells me/ wants me to do. I am one of those people who do better if my overnight fast continues until around 10.30 – 11am. Yet all aorund me so called nutritional ‘advice’ is to eat breakfast. I do not wake feeling hungry so if i do eat, i am forcing my body to accept food before it is ready. And yes, i do end up grazing all day once I start. I start each day with my smoothie of Essential Protein , banana, a few berries. Take my supplements and I am good to go until lunch. Love my morning smoothies! This is a wonderfil article! Lot’s of people including myself skip breakfast and reach for a piece of fruit or a smoothie once we get settled into our day. This is great information! I have also found if I eat a large breakfast early in the morning I’m much more hungry throughout my day.